I think most of us still know the words to some poem, favourite or not, that we learned years ago in school. I have a few, and one of them is Robert Frost’s “Stopping by Woods on a Snowy Evening.” But just like we all “know” the words to a pop song whose lyrics we’ve never actually looked up but that we’ve sung along to countless times, we might not always have the words right. In the case of songs the results can be hilarious. I remember hearing of one fellow who turned U2’s “Sunday Bloody Sunday” into the far more threatening “Someday buddy, someday.” And it worked for him. I was reminded of this recently when thinking of Frost’s poem. I found myself reading it and was surprised to find I didn’t have some of the words right. Surprised because it’s really a very simple poem. For starters, I’d remembered the third line — “He will not see me stopping here” — as “He will not mind me stopping here.” I guess that’s pretty bad, but the thing is, I kind of like my version better. Why would the person who owns these particular woods see the traveler? Presumably he and his horse are some ways out from the homestead, and it’s night out in the country, where there are no streetlamps. Also I think the point of the line is that the property owner wouldn’t be bothered by some minor trespass. What difference would it make even if he did see the man and his horse? Would he be upset? Why? Are they up to something they shouldn’t be? Then, at the end of the second stanza, I’d always read “The darkest evening of the year” as “The coldest evening of the year.” And again I prefer my replacement word. What does the darkest evening of the year even mean? Any night with a new moon? But on a snowy winter night it’s always a bit lighter than at any other time of the year because the snow reflects whatever light there is. And there has to be some light because the man is watching the woods fill up with snow. Or does he mean it’s the darkest evening of the year because it’s the shortest day of the year? That may be, but it’s not what he says. Meanwhile, since it’s winter and the man doesn’t want to dawdle, having it be the coldest night of the year makes some sense. Unlike a song whose lyrics I may have misheard, I don’t know where these revisions to Frost’s poem came from. I guess my brain replaced these words at some point many years ago, and because I liked them better they stuck. It makes you wonder how much of this goes on in any oral culture, and whether such indeterminacy is always a bad thing. 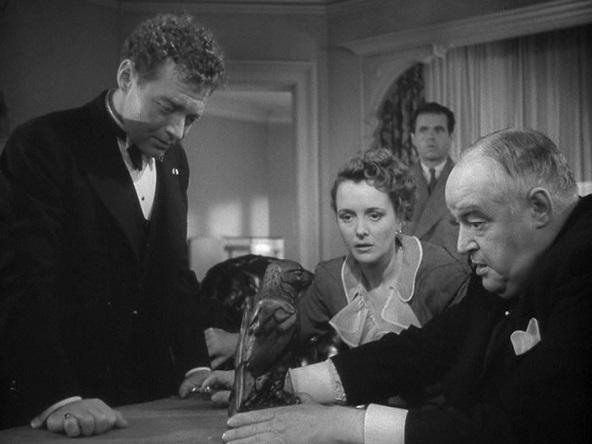 Over at Alex on Film I just finished watching three versions of Dashiell Hammett’s novel The Maltese Falcon: The Maltese Falcon (1931), Satan Met a Lady (1936), and The Maltese Falcon (1941). The last is the classic directed by John Huston and starring Humphrey Bogart as Sam Spade. It’s one of my favourite movies of all time. Game, set, and . . .
Over at Alex on Film I’ve been watching some film versions of Anthony Shaffer’s play Sleuth. 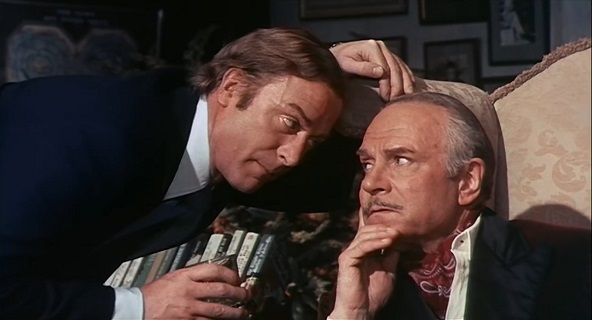 Or at least the 1972 Laurence Olivier-Michael Caine Sleuth and the 2007 Michael Caine-Jude Law Sleuth, with 1982’s Deathtrap (Michael Caine and Christopher Reeve) sandwiched in-between. Deathtrap is actually based on Ira Levin’s play, but it also clearly derives from Sleuth, and may even be closer to Shaffer’s play than the 2007 movie, which was written by Harold Pinter. At the gym I go to the locker rooms (remember them?) are on the main floor, with a rather grand staircase leading up to the equipment and program rooms. During the winter months there’s a sign placed at the bottom of these stairs asking members to not go past that point wearing winter boots or outside shoes. You can’t miss the sign. You have to walk around it to go up the stairs. Even if you didn’t read the sign, the effects of people not taking off their boots is evident. The stairs are often dirty and wet, and they have to put up signs warning how slippery the steps are. Upstairs, the carpeting is being ruined with all the salt brought in. The janitorial staff also have to mop the steps down several times every day because they are such a mess. I don’t think that’s true. I think everyone knows the sign is there and what it says. And like I say, it’s obvious the mess they’re making. They just ignore it. In this they are following what I’ve described before as the essence of rude behaviour: a sense of privilege and entitlement that tells them that rules don’t apply to them. Such people are, in the favourite diagnosis of our age, narcissists. Or assholes. What this leads to is, as usual, a mess for someone else to clean up. Over at the Literary Review of Canada website you can read my review of John Semley’s Hater: On the Vitrues of Utter Disagreeability. 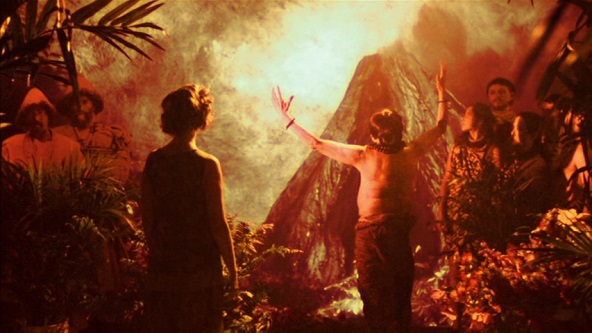 Over at Alex on Film I just put up my 1,000th post: some comments on Guy Maddin’s The Forbidden Room. I wasn’t sure when I started my movie blog that I’d get to 1,000 posts. Then for a while I imagined I might try to do a special film to mark the occasion. Citizen Kane. Casablanca. Vertigo. Something like that. One thing I’ve found as I’ve gone on, however, is that doing commentaries on those movies is nearly impossible. This is, in part, because so much (really, everything) has already been said about them. Just in jotting down some personal impressions and reflections, which is all I do at Alex on Film, would require too much work. I do listen to commentaries when available. I do try to read up on some of the basic background and criticism that’s out there. But the field has become so overgrown in many cases that the volume of it is self-defeating. Who can hope to read everything that’s been written on Psycho? Who would want to tackle Blade Runner? These movies have millions of words dissecting their every frame in print, with millions more online. Nobody can read all of it. And what do you do when the DVDs for not-quite-great films like Fight Club or Hostel come with four full-length audio commentaries each? I think this is the reason you find so many movie blogs talking about really obscure titles that almost nobody has seen. Critics want to feel like they have some elbow room, or aren’t just reinventing the wheel. What’s interesting is that the same attitude doesn’t seem to apply to fiction. A book that doesn’t find an audience, critical or otherwise, is just ignored. Nobody wants to go near it. Even if it’s a great book that somehow got overlooked. But even the dreariest exploitation flick from the 1960s seems to be able to find an audience today online. I’m not sure why that is.